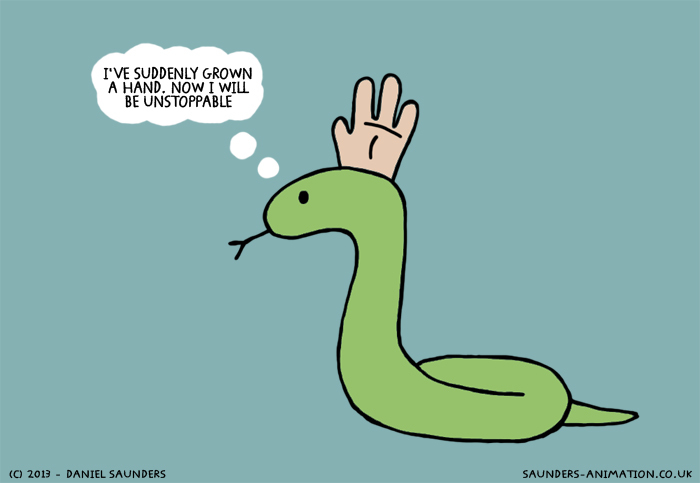 Image | This entry was posted in illustration and tagged animal, art, comic, dangerous thoughts, funny, hand, illustration, mutants, snake, surreal, unstoppable, webcomic. Bookmark the permalink. Like your style – and thanks for the follow!